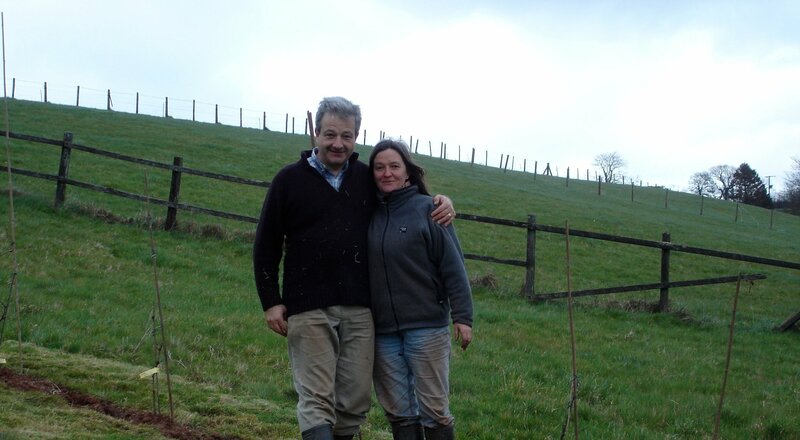 Simon and Alison Routh planted 150 vines by hand in May 2008 to test the suitability of the soil. 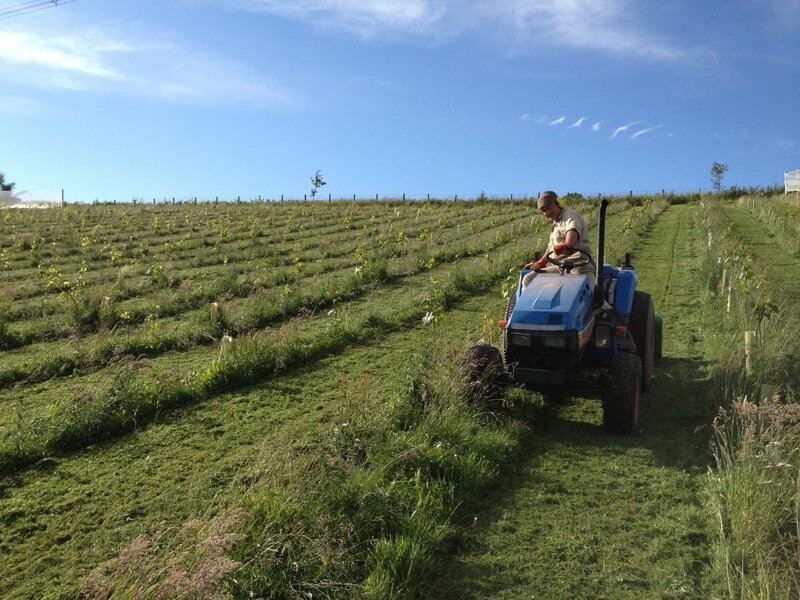 They started with 5 rows, 1 each of Reichensteiner, Chardonnay, Pinot Noir, Pinot Meunier and Bacchus. In 2011, the vineyard was expanded to a full hectare with further Chardonnay, Pinot Noir, Pinot Meunier and Reichensteiner to bring the total number of vines to 2,500. 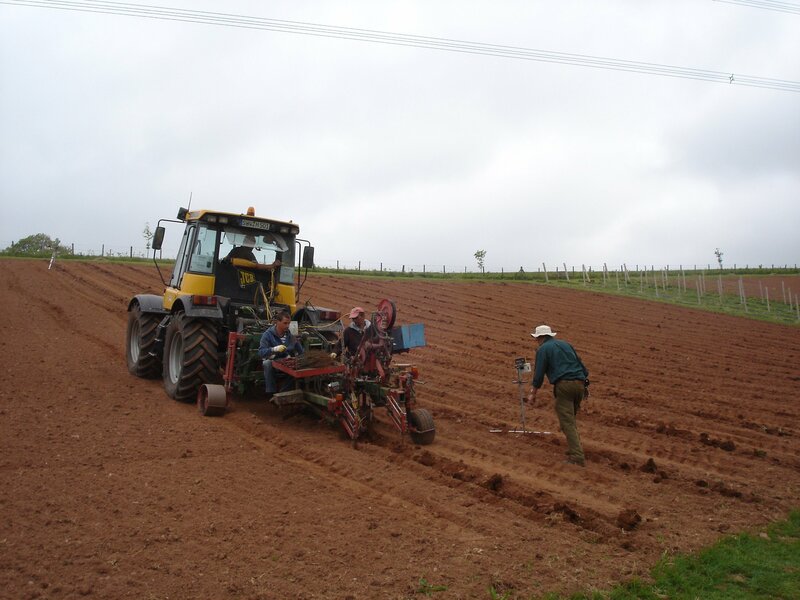 The early years were labour intensive as we installed trellising and struggled to keep the grass (and weeds) under control. 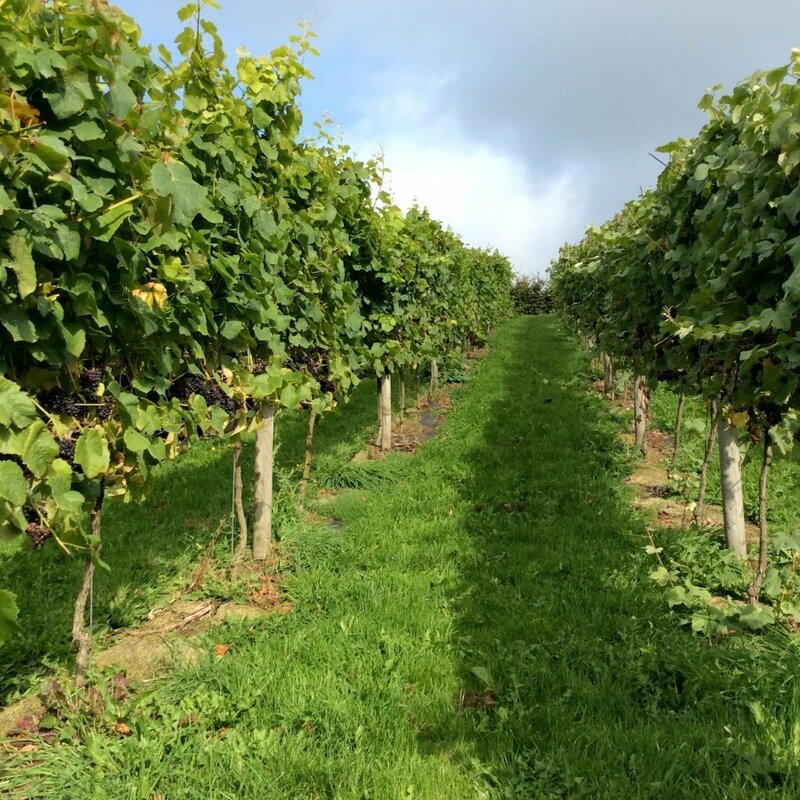 Set on the edge of the Brendon Hills, Wellhayes Vineyard occupies an ideal location on a South facing slope overlooking the small village of Clayhanger in mid-Devon. 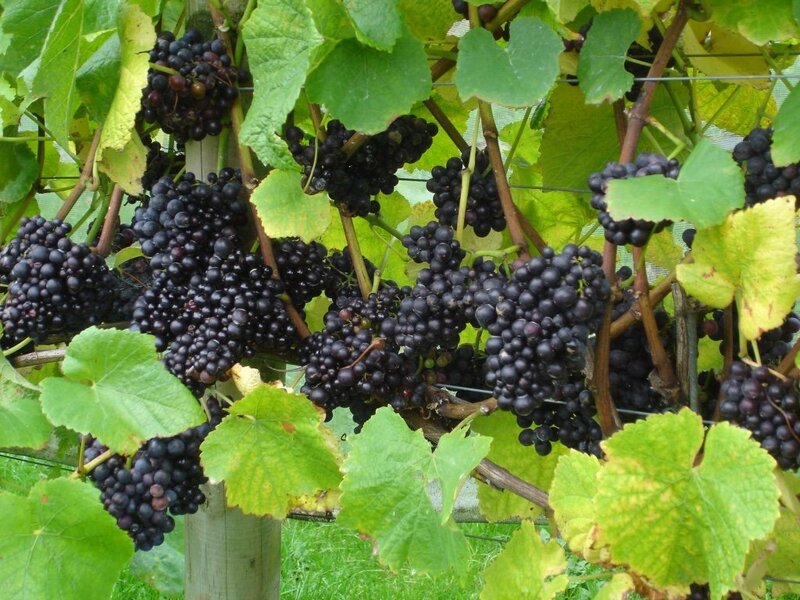 The red Devonian soil is deep and well-drained, which suits the vines, whose roots go straight down. The vineyard is now established with work focused on improving the structure of the vines and increasing their annual yield. 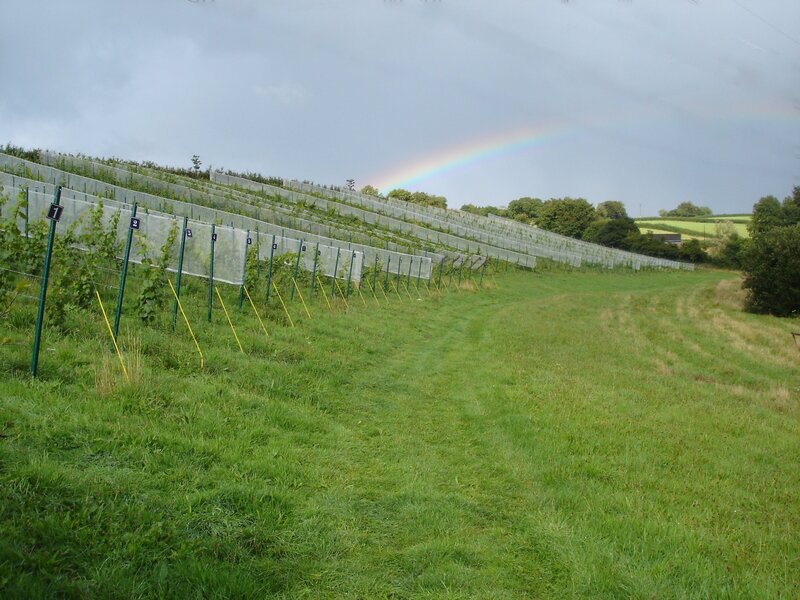 The first full harvest was in 2014 which produced 3.5 tonnes of grapes, from which we have made 2,000 bottles of Sparkling Wine, which were launched in September 2016.